Inland waters are exposed to numerous natural and anthropogenic stress factors. The impact of human activ ities on the aquatic environment increased during the past centuries resulting in the degradation of many aquatic ecosystems. Chemical pollutants increased in number and concentration due to rising population densities, farming, and industrialization. 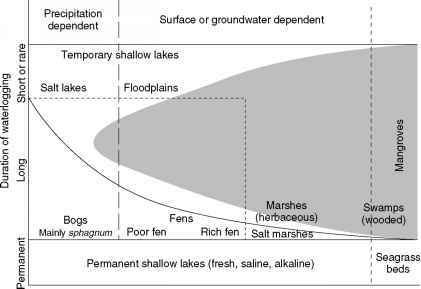 The response of lakes to changes in loading mainly depends on the type of water and the water retention time as well as the size, structure, and use of the catchment area. Threats to water quality do not only result from the cultivation and use of waters and their respective catchments, but can also originate in distant areas. The atmosphere may act as a carrier for chemical emissions (e.g., nitrogen and sulfur oxides) or certain physical impact factors (e.g., UV radiation and temperature). Major problems of inland waters are eutro phication, atmospheric and geogenic acidification, salinization, and contamination by a large number of xenobiotics. Eutrophication is the increased primary productivity (trophy) in a water body due to enhanced availability or usage of nutrients. It is one of the most common water quality management problems of lakes and reservoirs all over the world. About 30-40% of lakes and reservoirs worldwide are affected by unnaturally high nutrient con centrations. Due to the discharge of insufficiently purified municipal waste water and drainage from agriculturally fertilized areas, the extent of eutrophication processes has significantly increased since the middle of the last cen tury. These dramatic changes in the trophic state are termed cultural eutrophication, which can clearly be separated from the natural eutrophication that occurs during the aging of a lake over thousands of years. Visible indications of eutrophication are high turbidity caused by algal blooms, dense macrophyte growth, mass development of harmful cyanobacteria (blue green algae), reduced species diversity, oxygen depletion, formation of hydrogen sulfide, fish kills, and smell nuisance. As a con sequence, eutrophication has a strong influence on anthropogenic water uses such as drinking water supply, fishery, and recreation. In most lakes and reservoirs the nutrient phosphorus (P) is the minimum factor controlling the degree of eutrophication. The P input originates from point (e.g., municipal treatment plants, industrial waste water) or nonpoint sources (e.g., erosion, atmospheric deposition, surface runoff, ground water). Although nitro gen or carbon may also become limiting nutrients, most eutrophication control measures are directed towards the reduction of P, because limiting concentrations of this element can more easily be reached in most cases. A second important problem comes from the emissions of sulfur and nitrogen containing gases that lead to acid rain and an acidification of waters and soils in areas deficient in lime and with a low buffer capacity. The enrichment of sulfur and nitrogen oxides in the atmosphere mainly results from burning of fossil fuels, exhaust emissions, and agriculture. Additionally, natural sources contribute to the emissions (e.g., dimethylsul fide by marine algae, volcanisms, oxidation of pyrite, NOx emissions from soils and wetlands). The decrease in pH may cause extreme changes in the biocoenoses, as fish and many other higher organisms cannot survive or cannot reproduce in acidic environments. Biota is also influenced by indirect consequences of acidifica tion such as the increased release of toxic metal ions (in particular, aluminum, copper, cadmium, zinc, and lead) from soils and sediments. Acid deposition has changed the natural water chemistry and, thus, the biological structure in 50 000-100 000 lakes and watercourses in Europe and North America. Lakes created by mining activities are often geogenically acidified in their initial period since sulfur containing minerals (pyrite, marca site) have been oxidized leading to the formation of acids. Declining groundwater levels, enhanced nitrate concentrations in the groundwater, the artificial drai nage of wetlands, or long lasting droughts in soils due to global warming can also lead to the oxidation of reduced sulfur compounds, whereby the acid input into surface waters is increased. Additionally, increased sul fate concentration catalyzes the internal P loading by the precipitation of insoluble iron sulfide and causes hydrogen sulfide accumulation above toxic levels in iron poor systems. Globally the sulfate concentration in surface waters has increased by a factor of 1.7 within the last 100 years. Other harmful substances comprise a variety of organic and inorganic substances, such as toxic metals, pesticides, organic surfactants, pharmaceuticals, and mineral oils. Metals and organic compounds, for example, polychlorinated biphenyls (PCBs), are accumulated in sediments or in food chains and can build up toxic concentrations. Also salinization leads to strong changes in the biocoenoses, since freshwater organisms usually only have a small tol erance for enhanced salt concentrations. Causes of salinization are changes in the hydrological regime, which may be due to enhanced evaporation or discharge of salt rich water from mining, oil production, and agriculture. The different kinds and causes of stress have resulted in the development of different strategies to restore the func tioning of degraded lakes. Lakes are able to compensate part of the pollution by biological self purification and buffer mechanisms or by chemical/physical reactions. Ecological engineering, or ecotechnology, in lake management involves several ecological approaches or applications to optimize the structure of lake ecosystems and their catchments to achieve specific targets. Modern concepts try to combine the reduc tion of external loadings with in lake measures.